Rand dedicates this presentation to Dana Lookadoo, who will always be with us. This author’s TL:DR take: On top of traditional SEO optimization factors (ranking inputs such as keyword targeting, quality and uniqueness, crawl/bot friendliness, snippet optimization, UX/multi-device optimization), SEOs need to optimize for searcher outputs (such as CTR, long-clicks, content gap fulfillment, amplification and loyalty, task completion success). Remember when we only had one job? We had to make perfectly optimized pages. The search quality team would get it ranked, and they used links as a major signal. By 2007, link spam was ubiquitous. Every SEO is obsessed with tower defense games because we love to optimize. Even in 2012, it felt like Google was making liars out of the white hat SEO world (-Wil Reynolds). Rand says today, that statement isn’t true anymore. Authentic, great content is rewarded by Google better than it ever has been. Google has erased old school practices by combating things like link spam. And they’ve leveraged fear and uncertainty of penalization to keep sites in line. It’s often so dangerous to use disavows that many of us are killing links that provide value to our sites because we’re so afraid of penalties. Google has also become good at figuring out intent. They look at language and not just keywords. They’ve figured out when we want freshness. They can separate navigational from informational queries. They connect entities to topics and keywords. Even brands have become a form of entities. Bill Slawski has noted that Google mentions brands in a number of their filed patents. Google is much more in line with their public statements. 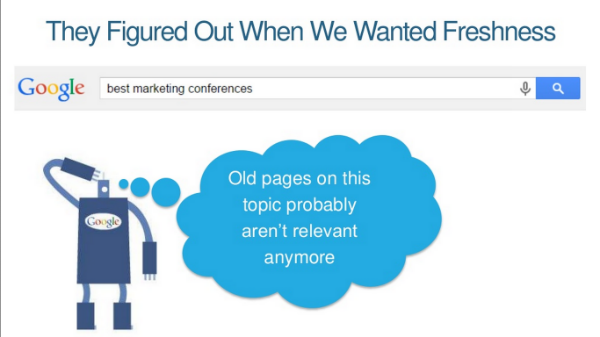 They mostly have policy that matches the best way to do search marketing today. 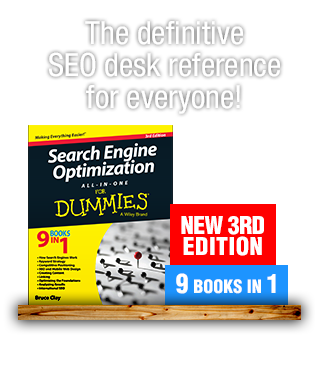 During these advances, Google’s search quality team underwent a revolution. Early on, Google rejected machine learning in their organic ranking algorithm. Google said that machine learning didn’t let them own, control and understand the factors in the algorithm. But more recently, Amit Singhal’s comments suggest some of that has changed. In 2012, Google published a paper on how they use machine learning to predict ad click-through rate. Google engineers called in their SmartASS system (apparently that’s ACTUALLY the name of the system!). 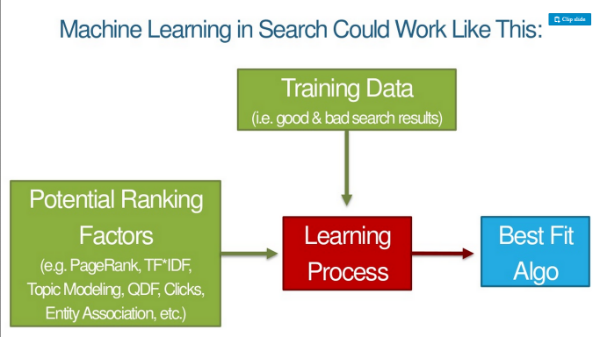 By 2013, Matt Cutts talked at Pubcon about how Google could be using machine learning (ML) publicly in organic search. As ML takes over more of Google’s algorithm, the underpinnings of the rankings change. Google is public about how they use ML in image recognition and classification. They take factors they could use to classify images and then add training data (things that tell the machine something is a cat, dog, monkey, etc. 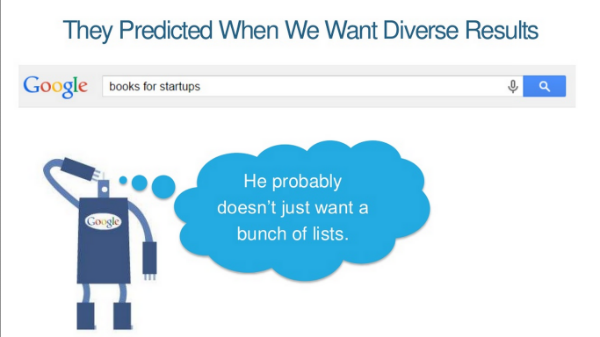 ), and there’s a learning process that gets them to a best-match algorithm. Then they can apply that pattern to live data all over. Bounce, clicks, dwell time — all these things are qualities in the machine learning process, and the algorithm tries to emulate the good SERP experiences. We’re talking about an algorithm to build algorithms. Googlers don’t feed in ranking factors. The machine determines those itself. The training data is good search results. What Does Deep Learning Mean for SEO? If lots of results on a SERP do all of the above, then they’ll keep including that. We’ll be optimizing more for searcher outputs. 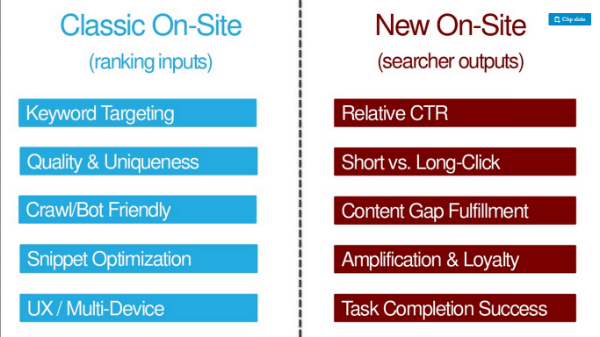 These are likely to be the criteria of on-site SEOs in the future. OK — but are these metrics affecting us today? 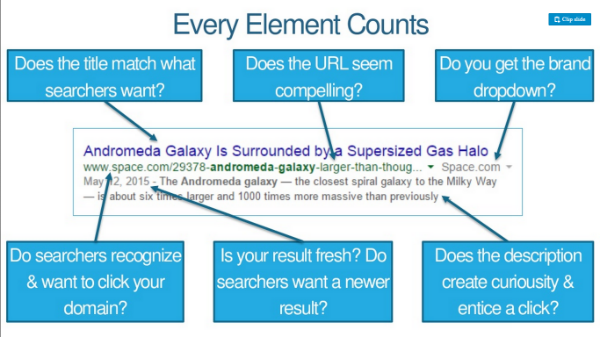 In 2014, Moz did a queries and clicks test. Since then, it’s been much harder to move the needle with raw queries and clicks. Google is catching on to raw clicks and queries manipulations. At SMX Advanced, Gary Illyes said that using clicks directly in rankings would not make too much sense with that noise. 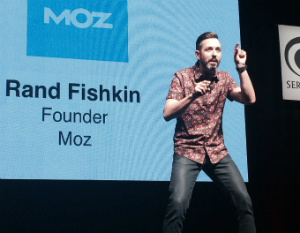 He said there were people producing noise in clicks, calling out Rand Fishkin. – Case closed! Or is it … ? What you should be doing is things that will naturally make people want to click your result in the SERP. This is why Rand says we’re optimizing for two algorithms. We have to choose how we’re balancing our work. Hammer on signals of old? They still work. Links still work. Anchor text still moves the needle. But we can see on the horizon more clearly than ever before where Google is going. Using both matters because there are two algorithms. Let’s talk about the five new elements of modern SEO. Optimizing the title, meta description and URL a little for keywords but a lot for clicks. If you rank No. 3 but you can boost your CTR, you can earn a boost in ranking. Every element counts. Do searchers recognize and want to click your domain? Does the URL seem compelling? Do you get a brand drop-down? Drive up CTR through branding or branded searches and it may give you an extra boost. Branding efforts (such as advertising on TV, radio, PPC) has an impact on CTR. Brand budget helps relative click-through rate and all sorts of other ranking signals, and that lift is causing some part of this. With Google Trends’ more accurate, customizable ranges, you can actually watch the effects of events and ads on search query volume. For example, there’s a spike in “fitbit” queries after Fitbit has been running ads on NFL Sunday. Example: The New York Times has high-engagement graphics that ask visitors to draw their best-guess finish of a graph. Google’s looking for signals that show a page fulfills all a searcher’s needs. 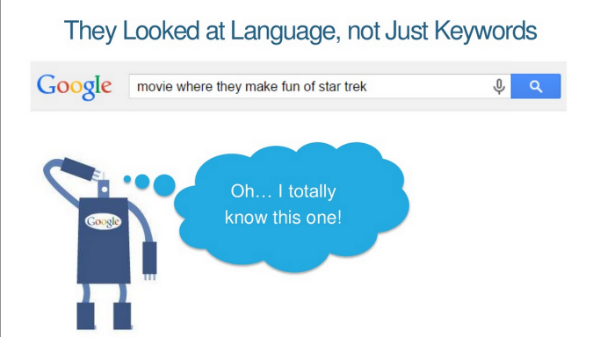 ML models may note that the presence of certain words, phrases and topics predict more successful searches. Rankings go to pages/sites that fill the gaps in searchers’ knowledge. TIP: Check out Alchemy API or MonkeyLearn. Run your content through them to see how it performs from an ML perspective. Data from Buzzsumo and Moz show that very few articles earn shares/links, and that these two have no correlation. People share a lot of stuff they have never read. Google almost definitely classifies different kinds of SERPs differently. A lot of shares on medical information, for instance, won’t move the result up in ranking; accuracy will be more important. A new KPI: Shares and links per 1,000 visits. Unique visits over shares + links. Knowing what makes people return or prevents them from doing so is critical, too. 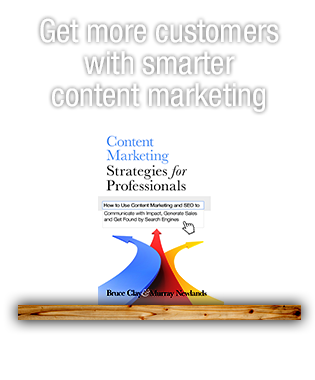 We don’t need better content, we need 10X content (i.e., content that is 10 times better than the best currently out there). Task = what they want to accomplish when they make that query. Google doesn’t want a multisearch path of continually focused queries. They want a broad search for which they fill in all the steps and you complete your task. The search engine might use the clickstream data ­to help rank a site higher even if it doesn’t have traditional ranking signals. A page that answers the initial query may not be enough, especially if competitors do allow task completion. “Make pages for people not engines” is terrible advice. Engines need a lot of the things we’ve always done and we better keep doing that. People need additional things and we better do that, too. 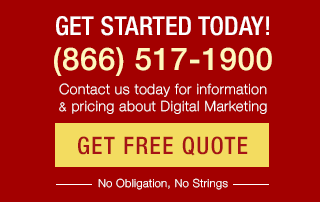 Rand Fishkin – What is ethical social media marketing? More and more SEO can be summed up in the term user engagement. change is the only constant! Hi John! Thanks! To your first questions, as I understood it, yes. “Long click”=long time before hitting back to the search results. And to your second question, what timing, considering that RankBrain has been confirmed. I don’t know how any of it works but for what it’s worth, it appears that the machine learning bits are not algorithm-wide, but rather involved in defined areas … or in some way its affects are predictable by the engineers (see Gary Illyes’ comment: https://twitter.com/methode/status/658735811886628864). I also suspect, as you have, that personalization is only going to soar from here. 1. Is a “long click” the same as a visit with relatively high dwell time? 2. Are searchers doing the training that “teaches” the algorithm, or is all of that done at Google before they publish the update? Machine learning is largely dependent on feedback, which dwell time/CTR and other “searcher outputs” provide; however, are those outputs simply teaching these algorithms about the quality of the results, or are the outputs actually helping the algorithm to learn? If it’s the latter, then personalization will begin to increase exponentially, and the usefulness of API ranking data will become less and less meaningful, and on-site metrics will start to become more important. Nice post actually I really like your site its up o the mark and most of the post are to the point and deeply cleared. thanks for sharing.